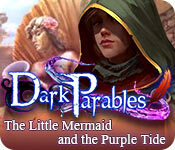 Dark Parables: The Little Mermaid and the Purple Tide is rated 3.6 out of 5 by 47. 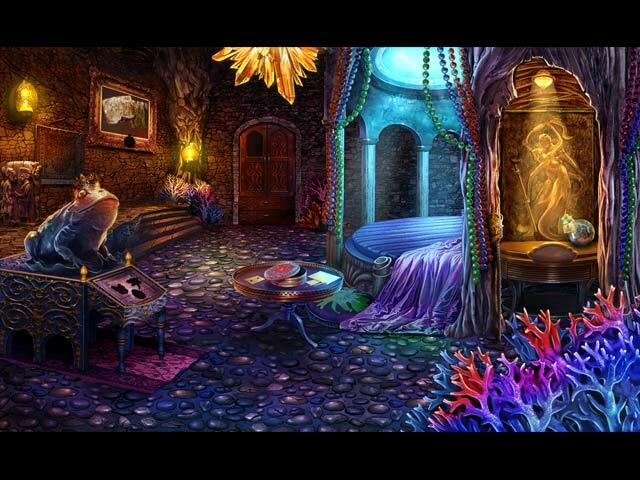 Rated 5 out of 5 by JulzCat from So Much Beauty Under The Sea! I'm baffled as to why this game was reviewed so poorly. I've played it a few times since it came out in 2014 and I continue to love it! Our brave detective is helping out the little mermaid, her father the king and the rest of her sisters beat a curse brought down on them by the sea goddess. Some favorites from the past also make an appearance. This game was nice and long, the graphics are gorgeous and the mini-games are fun and challenging. You can also collect pieces of the parables that tell the story of her family, but try as I might, I couldn't find them all. Don't listen to the reviews...this game is a winner! Rated 5 out of 5 by Empyreana from Poor Mermaid Finally got this game and played it with my kids. We loved it. I especially loved the fun things the creators said in the credits. 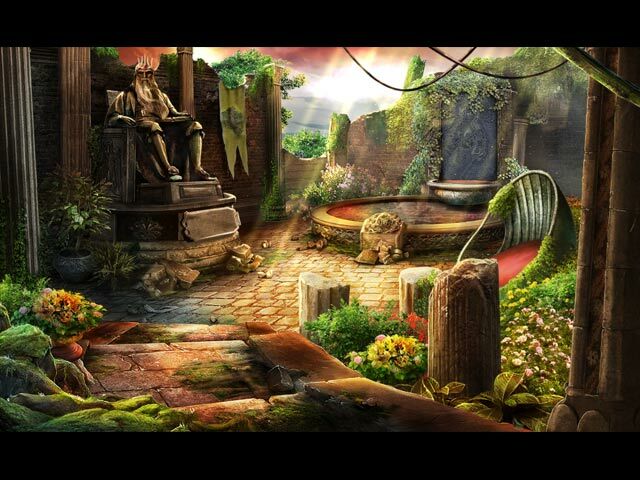 There's plenty of beautiful things to absorb while figuring out puzzles. Rated 5 out of 5 by SparkleGlow100 from Opulent and decadent ornaments with oceanic theme (Available at BFG since 2014) Beautiful, lovely and bittersweet. 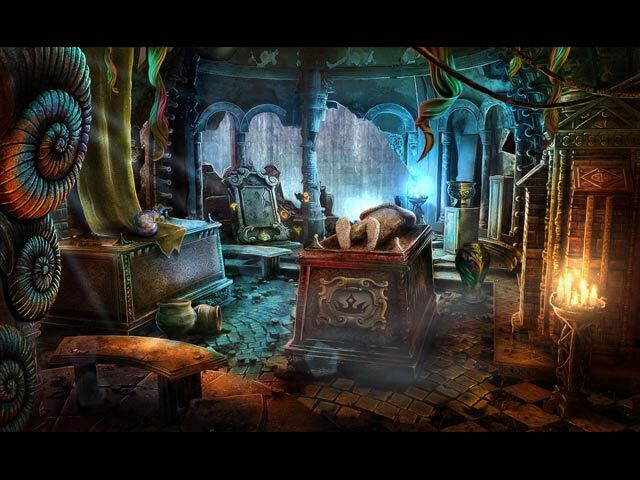 When it comes to decoration and ornamentation, this game is a feast for the senses. Wherever you go, you are accompanied by the wonderful echoes, splashes, waves and droplets of water. This brightly colored and richly-detailed game is absolutely heavenly (especially because I'm playing this in the doldrums of winter !). 8-10 HOPS, which are fragmented and offer more gorgeous ornamentation. The puzzles are interesting, and on top of that, there is an ongoing mini-game to convert a screen of symbols into one type. Sounds great and looks great. Music is on a totally separate control - which is always a plus. I think there are a couple of reasons I am now bowled over by this game, but wasn't so when this game was first released: 1) I was comparing it to much to the earlier stylistic look of the Dark Parable games and 2) perhaps it is because I have a better computer now (?). Either way, I now love this game! Rated 5 out of 5 by rpggramma from THOROUGHLY ENJOYABLE!!! Great fun game! Parables is always great! I thought I had just caught up and now I see a brand new game!! Nothing more to say that isn't said. I think we all love Parables! I loved the puzzles!! That last one gave me a little challenge!! I had a problem though; I thought I was collecting morphs and didn't realize that was part of the Parable stories until Chap.5!! I never got to the stories bc when I finished the game, I could not get back to the stories. I was locked out. So, I suggest that you do the stories before the end!! Rated 5 out of 5 by yotekai from Fun Game! I really enjoyed this game. The world was interesting and it was fun to figure things out. The mini-games were fun, too. The one odd thing was that I couldn't figure out why the hooded man was part of the story. Rated 5 out of 5 by b2u4 from Love the graphics Beautiful pictures/graphics with a change in your typical HOG scenes. There is some going from screen to screen but that is where the Map is so very helpful, especially when you forget where a certain item should go. The map may not show you the exact location to go but it does show the locations that need something to be done. I enjoyed this game and I believe I have all of the Dark Parable games. Rated 5 out of 5 by Crickettt from Terrific fun! I really enjoyed this game. The graphics were especially beautiful. The game had a great length, and ended conclusively. The jump map made getting around easy, the hint button was completely helpful, and one could customize its timing. The story was pretty good (although not the "mermaid-type" I was expecting) but that did not stop me from giving this a 5. I got no glitches, saw no typos--just beauty, everywhere. Lots to do, not really hard, but some puzzles were challenging and I skipped them. You can set your own timing for that, too. Excellent game, and some of the very best graphics that I have seen.